The professionals at Marco Hearing Health Centre offer the people of Cape Breton comprehensive services to meet all of their unique needs. Your hearing health is vital, and should only be trusted with the best. The Marco Team have the knowledge and expertise you deserve. Marco offers you the services of 3 Audiologists and 3 Hearing Instrument Specialists. An Audiologist is a hearing healthcare professional dedicated to improving your quality of life. Audiologists are experts in their field; they hold a Masters Degree in Audiology and spend, on average, seven years at university. More and more Audiologists are also completing a Doctorate. Audiologists are the only specialists trained to provide aural rehabilitation, perform diagnostic Audiological evaluations and provide recommendations for treatment. Audiologists examine your overall hearing health and prescribe and fit hearing devices. They also provide counseling to help you cope with the practical and emotional effects of hearing loss. Visit Sounds+ to learn more. Odilia has been a SAC Certified Audiologist for 32 years. Odilia is owner and staff Audiologist at Marco Hearing Health Centre. After two years as a hearing instrument specialist, Odilia chose Dalhousie University and obtained a Masters of Science in Audiology from the School of Human Communication Disorders. Odilia was employed as a Clinical Audiologist in Antigonish, Sydney Mines and Glace Bay. Prior to opening Marco Hearing Health Centre, she was regional manager for a leading Canadian manufacturer of hearing aids working out of Kitchener, ON. Odilia has been dispensing hearing aids in private practice for over 20 years – longer than any other private practice Audiologist on the Island. Odilia is one of only two Audiologists in Nova Scotia trained in Tinnitus Retraining Therapy (TRT), a specialized method of treatment that effectively helps patients adapt to tinnitus. 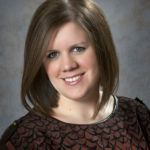 For three years, Odilia served as the first president of the Private Practice Audiologists of Atlantic Canada (PPAAC). She was instrumental in rebranding PPAAC as Sounds+, and in the formation of the Canadian Academy of Audiology. Sherri is a graduate from Dalhousie University where she earned her Masters of Science degree in Audiology. She also holds a Bachelor of Science degree with Honors in Psychology from Saint Francis Xavier University. During her training, Sherri has had the opportunity to work in both hospitals and private practice settings. Sherri has her national certification from Speech Language and Audiology Canada. She is a member and Treasurer of the professional organization Sounds+ and also maintains membership in other professional organizations. Sherri is a New Waterford native and is very pleased to be back home, working in Cape Breton. She has been with Marco Hearing Health Centre for 5 years and is dedicated to helping improve the lives of her clients. Lindsay is our most recent addition to the Team. Lindsay decided after high school that she wanted to become an Audiologist. She pursued that goal and after an Honors undergraduate degree in Science, she graduated from Dalhousie with a Masters in Audiology in 2013. Lindsay has her national certification from Speech Language and Audiology Canada. She is also a member of Sounds+ and serves on the educational conference committee. Lindsay has trained with Dr. Pawel Jastreboff and is a Tinnitus Retraining Therapy Specialist. Lindsay has a specific interest in CAPD and carries out Central Auditory Processing Assessments at Marco. Janet is a Board Certified Hearing Instrument Specialist. She has been with Marco Hearing Health Centre for 25 years. Janet’s educational qualifications include a Bachelor of Arts in Community Studies and a Bachelor of Business Administration degree from the University College of Cape Breton. Janet has 35 years experience dispensing hearing aids in Cape Breton – longer than any other Hearing Instrument Specialist in continuous practice on the Island. Janet’s Clients look forward not just to having their hearing aids fit or modified, or receiving counseling; they look forward to their visit! Janet is past president of the Atlantic Canada Hearing Aid Association. Carrie Morrison joined Marco Hearing Health Centre in 2008, with almost 30 years of customer relations experience. 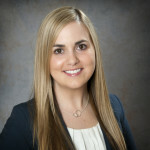 Carrie is a graduate of the University College of Cape Breton with a Diploma in Business (Hospitality) Administration, and is now a Hearing Instrument Specialist. Carrie has trained with numerous companies on the on-site repair of their hearing aids. Carrie does an amazing job of making all of Marco’s current and future clients feel right at home and assists them daily with their hearing health needs. Melissa comes to Marco Hearing Centre with a Business background and several years experience in Customer Service. She’s a trained technician for hearing aid repairs and is now a Hearing Instrument Specialist. Melissa has trained with numerous companies on the on-site repair of their hearing aids. Melissa is our information technology technician, assisting Marco’s IT manager and the Marco Team with the software required for programming today’s advanced hearing aids. She has been working with us since 2008.